‘Swarm Trap’ is an exhibition of conceptual and functional architectural objects made for one of the planet’s more important species – bees. Swarm traps are safe houses for bees – small man-made structures designed to give bees refuge when they swarm seasonally, looking for a new home. 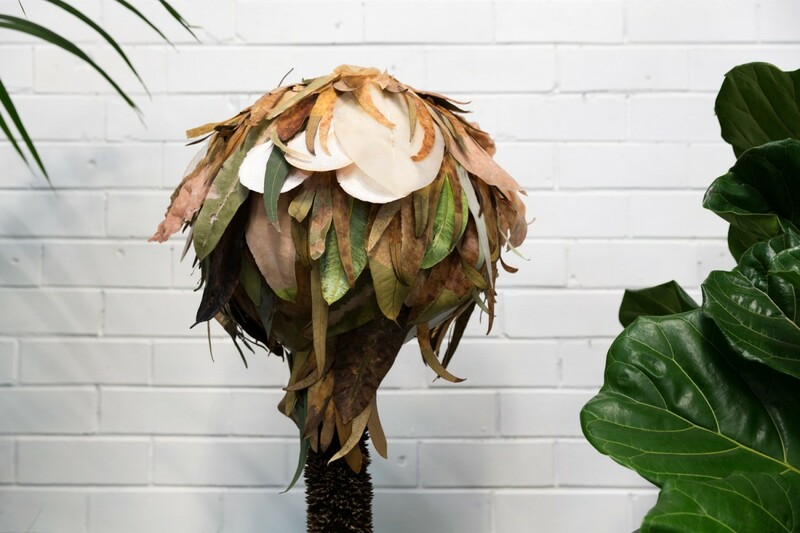 The objects will be exhibited at the Nishi Gallery before being installed out in the bush, city and suburbs in the spring as working traps. Curated by Honey Fingers and MANY MANY, the exhibition includes works by SIBLING, Beci Orpin, London-based Soft Baroque, Loose Leaf, Ben Blakebrough, experimental design collective Field Experiments, Melbourne artist Madeleine Mills, MANY MANY, Zurich-based graduate architect Nicholas Ashby, Shauna Toohey (of Perks and Mini) and natural beekeeper and Honey Fingers founder Nic Dowse. Come to the exhibition opening and sign up to our Make a Swarm Trap workshop on 27 August. 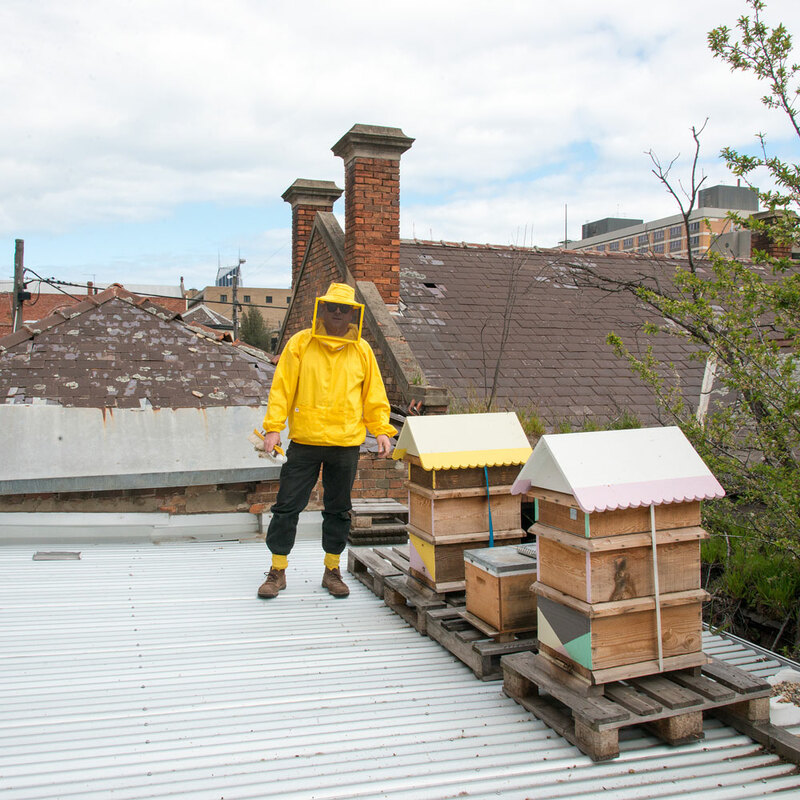 Nic Dowse studied architecture, but prefers beekeeping. He is the founder of beekeeping kitchen/studio Honey Fingers. In the warmer months, when bees are chasing nectar, Honey Fingers is an urban beekeeping enterprise. In the cooler months, when the bees are inside eating their hard-earned honey, Honey Fingers is a collaborative studio practice. 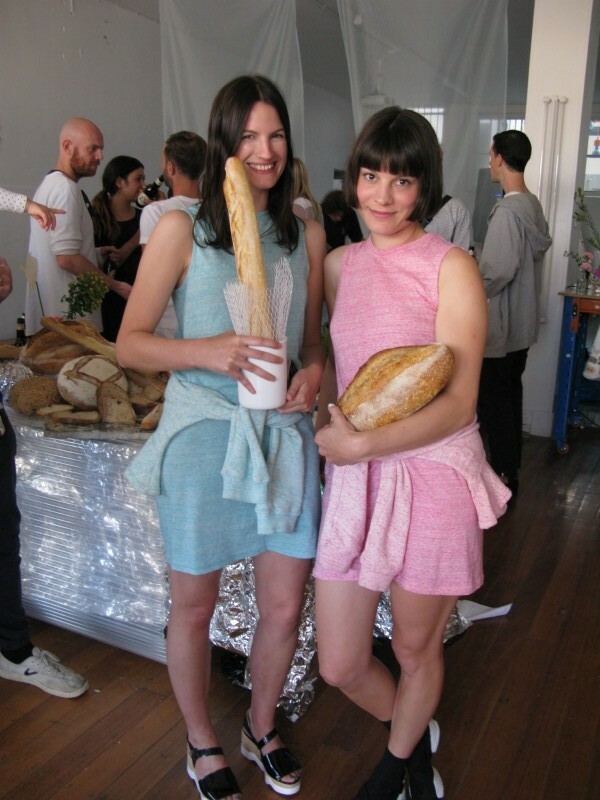 Rachel Elliot-Jones (Melbourne) and Stephanie Poole (Zurich) are the co-founders of Many Many, an itinerant curatorial and publishing platform concerned with rituals of making and interdisciplinary design practice. Many Many publishes House Wear, an occasional publication about nomadic culture, across art, design, architecture and writing.